Christmas tree lots carry a dazzling array of trees ranging from fragrant balsam firs (Abies balsamea) to shimmering Colorado blue spruces (Picea pungens). With so many choices, how does one choose? The three most commonly encountered groups of Christmas trees are firs, pines, and spruces. 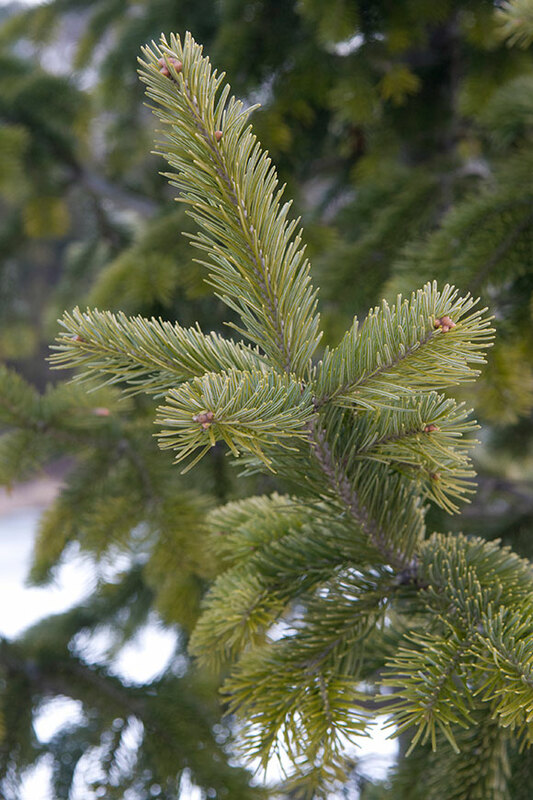 The most common firs available are Canaan fir, noble fir, and balsam fir. 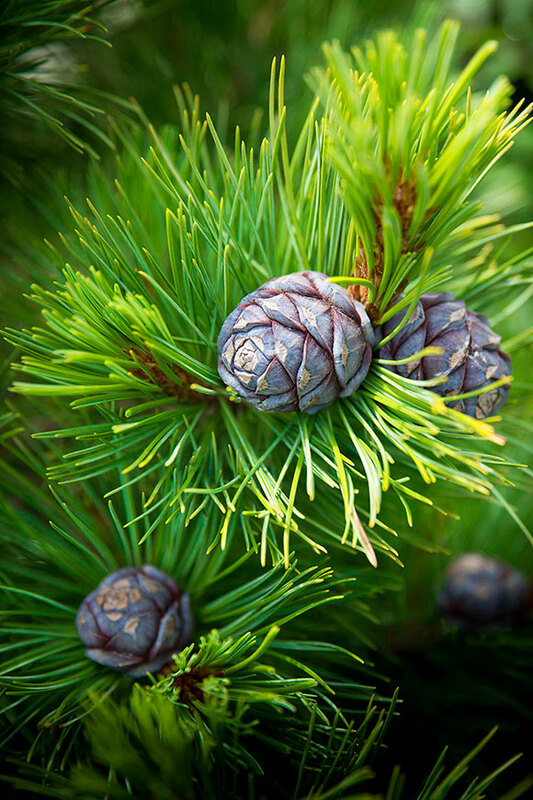 All make terrific trees with a classic piney fragrance. They feature dark green needles (often with silver undersides) and are known for their rounded needles, which minimize injuries. They’re among the longest-lived Christmas trees and most resistant to needle drop. The main downside is that some varieties can be very expensive. 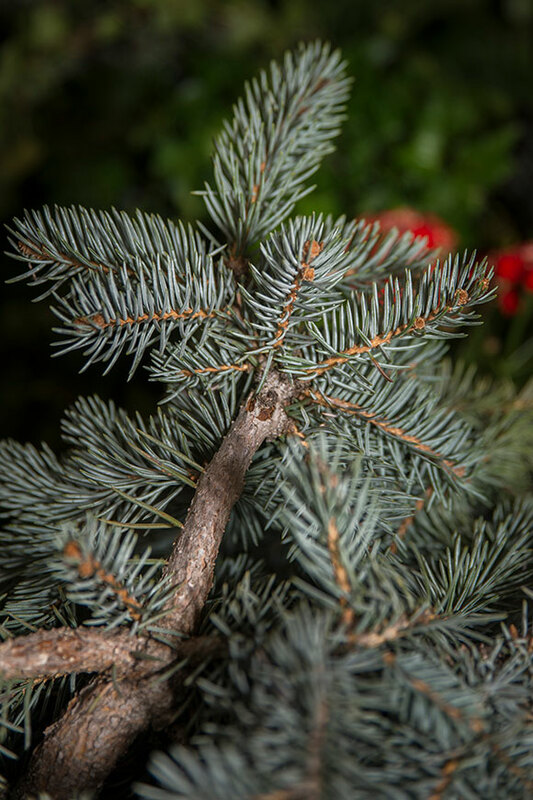 Spruces come in colors ranging from dark green to icy blue, but they all share one thing in common; incredibly sharp needles. While they make terrific trees for outdoor decorating, they do not hold up very well to the dry air indoors. If you select a spruce, it is critical that it is kept away from any sources of heat that might dry it out. The branches are strong and can support ornaments well, and their color range is quite appealing. When used properly, spruce can be an excellent plant for holiday decorating. Pinus cembra ‘Blue Mound’ from our Wonderland Express exhibition showcases its long, soft needles. Pines are another popular Christmas tree. The most commonly available pines are white pine and Scots pine. Pines feature long needles and tend to have a more clumpy look on the branches so the overall effect is less formal than the firs and spruce. The branches are generally more stiff than other evergreens, which makes them great for hanging ornaments. The biggest downside to pines is that they often turn a duller green for the winter. Many tree lots dye them a darker green to make them more attractive. Ask to unbag the tree before purchasing it. Many tree lots have the trees in netted bags, which makes it hard to see if the tree has a flat side or a bald spot. If this is a concern, just ask. Give the tree a good shake. If you find lots of needles falling off, that means the tree is dried out and will not last long. Look for trees with healthy, firm needles. Dull, brittle needles are a sign of a dried-out tree. Always give the trunk a fresh cut before placing it in water. If you have the ability to do this at home, that’s best, but your tree will be fine if you have it done at the lot just before bringing it home. Get your tree into water as soon as possible. Once the cut end scabs over, the tree will have a hard time taking up water and will lose needles rapidly. Never allow the water dish to dry out. It’s not uncommon to refill the dish every day, especially for the first week. Christmas tree food (a liquid food similar to the packets of cut flower food you receive in bouquets) helps extend the life of your tree. Avoid placing your tree near radiators or heating vents. This will cause needles to dry out very rapidly and can quickly become a fire hazard. At the end of the season, trees can be “planted” in the snow and used as seasonal decor and shelter for birds, or composted.